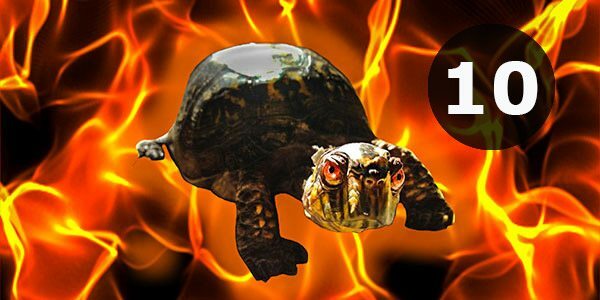 Welcome to Part 10 of our guide to building a solo march turtle. This part of the guide will be focused on the interaction between your defensive army strength and combat boosts, and the way in which they measure up against the attackers army and combat boosts. It builds upon the work already posted on this site in the Guide to Combat Boosts, which presents an amazing series of data on the relative importance of different boosts, as well as the guide to The Best Combat Gear. It will also highlight the utility of our new tool released yesterday that helps you find specific boosts, which is particularly useful if you want to round out your boosts in a particular area. This post is of course going to be turtle specific, so we will be focusing on the principles that you need to think about when making decisions about how your are going to structure your city, and equip your hero to make you as strong a turtle as possible, and give you the best chance of killing attacking troops whilst fitting inside you hospital bed capacity. The three main boosts we are going to be focusing on are the overall combat boosts: attack, health, and defense. As always, I like to focus on defensive capabilities first before honing in on attack capabilities, so the first thing we are going to do is try and outline a bit of a framework for considering how to stay safe, and judge your relative strength compared to an attacker. Way back in Part 5 of this series, we looked at the relative strengths of each of the different tiers of troops. We are going to show a cut-down version of one of the tables that solely focuses on power and strength. In the new era of ‘Enemy Power Destroyed’ as the most likely Kill Event points system going forward, this is really the core of what it comes down to. The numerical power gain of each troop in your army, and the strength of each of those troops. What we have always being trying to leverage in this series, is working out how to exploit Asymmetry 1 first presented in the introduction to this series. Asymmetry 1) Your attacker has a limited attack size with a maximum allowed march size of 375k (using a 50% march size boost), whilst you can have an unlimited number of troops defending your stronghold. If we combine the maximum march size of 375k, with the strength of T4 troops, then we have the first half of our equation. 375,000 x 4.5 = 1,687,500. Therefore the maximum troop strength of the incoming army before combat boosts is 1,687,500. Everything we have done so far with designing our army in Part 6, has been looking at options for how to maximise your army strength. If we go back to Part 5 – Troops, we posted 5 hypothetical armies of 16M troop power each. We then went ahead and tested them in Part 6 – Armies. But in part 5 we presented the strength of each of these armies in this table. The first colored column Troop Strength presents the combined troop strength of that army. Model 1 has an overall army strength of 8M (8M T1 x 1 strength per troop). Model 2 has an overall army strength of 4M (2M T2 x 2 strength per troop). Model 3 has an army strength of 3.5M, Model 4 has a strength of 2.5M and Model 5 has an army strength of 2M (666k T3 x 3 strength per troop). If you then compare each of these armies to the maximum incoming army strength from a solo march of 375k T4, you can seen that each of these armies has stronger base stats than a full T4 march, before combat boosts come into consideration. The T1 monster is almost 5 times as strong as the full T4 march, whilst the pure T3 model is only just stronger at 1.19 times the strength of a 375k T4 march. The pure T3 army is only just stronger than the T4 maximum march attacking force, but it has been a very successful turtle model for so long because it successfully leverages Asymmetry 2, that the defender has hospitals whilst the attacker doesn’t, so our troops don’t have to die. It also usually leverages the other important asymmetry that the defender has traps. That can be done in various ways as outlined in Part 9 – Wall Traps, but note that a pure T3 troop model with pure T3 trap model, will be frequently rebuilding traps that get destroyed with each hit. As per the summation of Part 9, if you are going with a full T3 wall, it is best to put a T1 or T2 troop meat shield in front of it, because the traps won’t be touched until all the troops are hospitalised (or dead). Until now, we have only considered the base strength of the attacking army, and the base strength of the defending army. We are now going to turn our eye to the characteristics of the most effective attacking hero gear, and put together a little framework for thinking about how to counter it. The gear we have been most focused on in this series for setting up defences is the gear from the Fire Age Gear set as reviewed here, and the Xena Valentine Gear Set, as reviewed here. We can recently add the Samurai Gear list to this set of attackers hero gear. What we are aiming for is a framework that allows for relative safety, and in particular to try and level the playing field that is the main asymmetry that the attacker has in their favour: their hero gear is usually much better than yours. Our goal is to try and minimise the negative asymmetry on hero gear, so that our positive asymmetries of unlimited army size, presence of hospitals, and presence of traps can do their job in decimating their incoming force. The Fire Age 2015 gear set focuses mostly on Troop Attack and Troop Health, with the occasional use of a specific troop defense debuff. The first set released was heavily infantry attack focused, with a slew of cavalry defense debuffs. The second set was focused on ranged attack, and the most recently added set focuses on cavalry attack. These are all now part of the ‘Set Gear’ for the Fire Age set. The older fire age gear (Damascus Steel Sword, Spear of Fire, Helm of Fire) does not qualify as being part of the Fire Age Set Gear. Xena Valentine set introduced a variety of combinations of Troop Attack, Troop Health, Troop Defense, Troop Attack Debuff, Troop Health Debuff and Troop Defense Debuff. It is quite a varied and interesting set of gear, and this is where we will focus our main efforts on. You can of course also throw in the Risque Gown, which has a Troop Defense Debuff as well, but this is not quite as important as the cumulative 100% troop health debuffs included in the above three items. A lot of attackers have replaced their Risque Gown with the armor from the recent Samurai set. So, the first thing we need to do is construct a defensive combat boost foundation that will allow us to survive a 100% troop health debuff attack. And the only real way to do that is to get a reasonable troop health boost. What is considered reasonable? Well, for starters, I like to think in percentage terms. If you have a 100% troop health stat, then a 100% troop health debuff is going to do you 100% relative damage, i.e. wipe out all of you hard won boost. So, as you go higher with your Troop Health boost, the effect of the dangerous trio of health debuff gear gets less and less. Where you decide is your comfort point is completely up to you, but as a minimum, I aim for 400% troop health on turtles, so that at worst they are taking away 25% of my troop health. Of course, they could always be stacking troop health debuff gems (Boar Gems) in their 4th gem slot as well, in which case it may be that starting at 400% is not enough. But what we are aiming for is relative safety, and in particular to try and level the playing field that is the main asymmetry that the attacker has in their favour: their hero gear is usually much better than yours. Our goal is to try and minimise the negative asymmetry on hero gear, so that our positive asymmetries of unlimited army size, presence of hospitals, and presence of traps can do their job in decimating their incoming force. And I like to think in terms of large round numbers. If my defending force is twice as strong as their attacking force, I want my defending hero to be at least half the strength of the attacking hero. And these closer I can get my hero strength to their’s, the better I will be able to leverage my unlimited army size and my hospital beds. And again in round terms, if they are running 700-800% troop attack, I want to be at least half of that on troop health and defence. So again, I want to be running at least 400% troop health, and the closer I can get to bridging the gap between the 400 and 800% the happier I am. So as we have said multiple times throughout this guide, strategy is about deciding what not to do. You could push your troop health as high as you can possibly go, but that means that you have little room for troop defence, and in particular troop attack. You could push troop attack exclusively, but if you have troop health of 100-200%, then an attacker with the above trio of gear can easily exceed your hospital capacity. The choice as to how to proceed is entirely up to you, but you have to make the decisions. The remainder of this guide will focus on potential sources of combat boosts, particular troop health, so that we are best placed to counter both the attacker’s health debuffs and troop attack. In constructing our combat boosts, we need to think about all the potential sources of our combat boosts, and in particular, whether they are permanent or temporary. Part 2 – Research outlined the minimum recommended research levels for turtles, with the recommendation that pretty much everyone should try and get to Troop Health 6 (Academy 18) at the barest minimum, or Troop Health 8 (Academy 19). Troop Health 6 gives you a cumulative permanent troop health of 31%. Troop Health 8 gives you a cumulative permanent troop health of 66%. Troop Health 9 takes that to 91%. Troop Health 10 is unlikely for a turtle, as it is basically T4 territory after completing Academy 21, but for completeness sake it gives you 131% permanent Troop Health. This is your foundation. As such, if you have Troop Health 9 research completed, your cumulative boost is 91%. That is not enough to withstand a 100% health debuff attack from the trio of Xena Valentine gear above. You need additional sources of troop health. But where else can we get them from. If we use our new Boost Finder tool, by following the link above to the Troop Health Boosts, we can see right down the bottom, that there are two sets of troop health research available. The ones in the Combat boosts section, as well as a second one in the March Tree. The first one provides a boost of up to 131% cumulatively at level 10, and the second one provides a boost of up to 30% cumulatively at level 10. The second one on the march tree is also buried in the most expensive research tree in the game, one which will put you WELL BEYOND our guidance on power requirements for turtles, given that the Level 10 Troop Health research gives you a very modest 12% Troop Health boost, but increases your power by 15M!!! There is a third area where Troop Health will very shortly be able to be researched, the new Defense research tree, released today, and still to be unlocked by MZ over the next week or so. Of course, it is buried down the bottom of the new Defense tree, and until it is released, we won’t know what the amount of troop health boost is, nor what the power increase is. The Troop Defense research in the new Defense research tree follows the same pattern of incremental increases as does the original Troop Defense research in the Combat tree with a 131% cumulative boost. This suggests that the Troop Health will max out at 131% cumulative boost. As you can see in the above screenshot from our Boost Finder Tool, there is a troop health boost for hospitals, just as there is a troop defence boost for having barracks. The main difference is that there is ONLY a troop health boost for hospitals when you have a level 21 hospital. What that means is that if you have 600k hospital beds from 15 level 21 hospitals, that you also have a 75% Troop Health boost that is basically semi-permanent. Semi-permanent in that you can deconstruct your hospitals and lose that boost, but it is a lot less likely than hero gear swaps, which can happen multiple times a day. Likewise, there is a 2% troop attack bonus for a level 21 villa, but not for lower level villas. For Barracks, the situation is different, in that there is a 1% defence boost for a level 5 barracks, 2% for level 10, 3% for level 15, and 4% for level 20 barracks, before a nice jump to a 10% troop defence bonus for a level 21 barracks. These boosts are additive, so if you have 15 level 21 hospitals, 3 level 21 villas and 3 level 21 barracks, you have 75% troop health, 6% troop attack, and 30% troop defence. If each of these buildings is level 20, then you have 0% troop health boost, 0% troop attack boost, and 12% troop defence boost. Also fitting into the category of semi-permanent boosts, are the VIP Combat boosts. Normal VIP 9 unlocks 15% Troop attack bonus, and VIP 10 unlocks an additional 15% troop health and 15% troop defence bonus. These bonuses are now carried through in Prestige VIP levels 1-8, increasing to 20% of each of troop attack, health and defence at Prestige Level 9, then 25% at Prestige Level 10, 28% at Level 11 and 30% at Level 12. This is one of the main reasons that you should try and ensure that your VIP is always active when fighting. We are labelling it semi-permanent, in that most people end up getting enough 1 and 7-day VIP boosts from gifts once their alliance reaches gift left 16 or 17, to keep the boost going almost permanently. Most turtles are unlikely to get VIP Prestige 10, so there is no real combat boost reason to push past Normal VIP 10 and unlock VIP Prestige. These are somewhat more risky boosts that last a variable amount of time depending upon your research, but which can be stacked in duration, so that they can effectively become either permanent boosts or temporary boosts. Part 3 of this guide suggested that there was a lot of risk in holding onto an altar just to try and get the boosts from executing a series of heroes. The risk is that by holding the hero, you are not able to shield, and hence are eligible to be zeroed by any rogue elements in your kingdom. DRetz posted in the comments to that article a very nice addition, which is that you can capture and execute a Level 1 hero every 1 day and 6 hours. The procedure is that you build a level 15 farm, capture and execute its hero. But instead of resurrecting it, you hire a new hero. If the account does not have a gymnos, it retains 0% hero XP, and so goes back to level 1 hero. The cycle can be repeated as many times as you like, with as many different farm heroes as you can afford to spare, steadily extending out the duration of your boosts. The amount of boost from executing a hero depends upon altar level, and it is common that a lot of people get to around altar 15-16 with daggers from alliance gifts etc, before hitting a wall. The boosts at altar 16 are 21% troop attack, 15% troop defense, and 15% Troop health. These go up progressively to a maximum of 38% attack / defence / health at Altar 21. As stated, this is a very risky way to increase your combat boosts, as it requires you to be unshielded for a minimum of 1 day and 6 hours, and more likely up to 3-4 days if you are looking to hold a level 45-50 hero to execution. But each to their own, and some people regularly take the risk and survive to tell the story. It completely depends upon your intra-kingdom dynamics, and only you can decide whether the risk is worth it. There is an additional incremental troop attack boost with having a prison, based upon the highest hero level held in your altar at that time. These are definitely temporary, as if someone attacks you and releases those heroes, the attack boost vanishes for subsequent attacks. For level 40-44 heroes, the troop attack boost is 16%, 22% for level 45-49 hero, and 30% attack boost for level 50 hero. Quite a few turtles keep a high-level farm hero that they capture directly before Kill Events for both the attack boost it provides, as well as the bright red target painted on their head saying: “HIT ME”. Other turtles just go out early in Kill Events and either capture heroes themselves by attacking small strongholds, or capture them when someone hits them. Either way, it is a very important temporary attack boost. Level 21 Watchtower has a 10% troop attack debuff, so probably the first instance of a debuff in the game, other than the monster defense debuffs in the Monster skill tree. Level 21 Walls gives a 10% trap attack boost. Level 21 Gymnos provides an additional 20 hero skill points, which can be allocated to combat boosts. Whilst not a direct boost in and of itself, achieving a level 21 Gymnos can provide a nice additional boost. As discussed in Part 3 – Buildings, this boost remains after deconstruction of the Gymnos. If you have your monster tree set, deconstructing your gymnos results in -10 Monster points showing up, but you still have 275 hero skill points available for allocation. For more detail, see Part 3 – Buildings. Combat boosts are available to a limited number of people in each kingdom, and are usually reserved for rally leaders. King of each kingdom gets a boost of 15% troop attack, troop health and troop defence. There are usually 5 other titles with positive combat boosts, with best being 10% troop attack and troop defence, another having 15% troop defence, another having 8% troop attack and troop defense, another a 5% defense boost, and the final one being a 1% defence boost on top of its 15% research boost. These are very modest boosts, and they change with each wonder rotation, or when the king title is transferred to a new king. It is unusual for these titles to be handed to a turtle, but it has been known to happen. Every little bit counts. Setting your hero skill tree should not be a permanent arrangement. Depending upon what you are focusing on, it may be appropriate to set your hero tree to right side to speed up construction, research and resource production, a split left/right setup with research / construction / troop training / trap building, or a purely left-side combat focused setup. 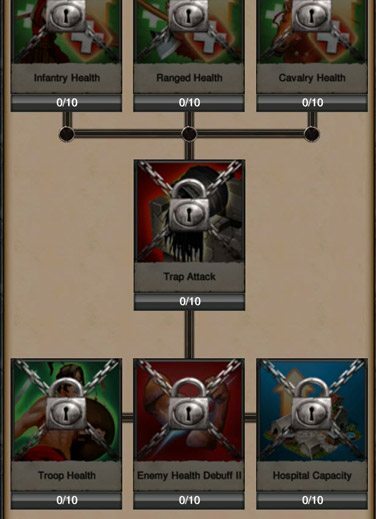 When you set the hero tree to the left side, there is up to 100% troop health boost available to you by maxing out both Troop Health 2 and Troop health 1 (always work from bottom of tree back upwards). Likewise, there is up to 100% Troop Defense available to you by allocating the 65 points available to troop defense. In contrast, when points are allocated to individual troop attack or trap attack, the 50 points results in a maximum of 71% boost. But as you all know, there is no way of maxing out all of the elements you would like to allocate points to. So, decisions have to be made. More on this later. Either way, if you have gone to Gymnos 21, you will definitely appreciate the 20 additional skill points. For the sake of this discussion, we are going to assume that all points are allocated to troop health and defense, providing 100% boost of each. A lot of people will argue with this, but please know that this is just for illustrative purposes. Here we are going to consider two similar builds at different levels to see what can be done with different ways of combining combat boosts. Both examples have 15 hospitals, 3 barracks and 3 villas, maxed for their stronghold level. The first example is sh18, the second is sh21. Bare bones sh18 – no execution. Research to troop health and defence level 6 provides 31% health and defence as the foundation. On top of that we have 15% of each from maintaining VIP boosts as active, 9% from 3 level 18 barracks, with no boost from hospitals or villas as they are level 18. This player does not execute heroes, and so has no altar / prison boosts, and does not receive a title. They set their hero tree for max health and defence and overall troop attack (the 5 points at the very top of the tree). So, before hero gear being applied, they have managed to get their troop health and troop defence above the minimum 100% threshold when keeping in mind the 100% troop health debuff that the Xena Valentine gear trio provides. But as you can see, the majority of it comes from the hero tree setting. It is pretty important that this kind of turtle only takes down shield when their hero tree is set for combat. At the other end of the extreme, we have a fictional turtle that is supercharged with boosts. They have researched troop health and defense level 9, have 15 level 21 hospitals, 3 level 21 barracks and 3 level 21 villas. VIP 10 is active, and they have their own Level 1 farm hero which they manage to execute regularly, as well as picking up a stray level 45 farm hero into their prison before going out into battle. This particular fictional turtle has also been titled as the champion of their kingdom, and so picks up an additional 10% troop attack and troop defence. As you can see, this particular turtle is a lot closer to reaching a target of 400% troop health, but does so at somewhat greater risk by holding and executing heroes. The main difference here is that the Level 21 hospitals, in addition to providing 600k hospital capacity, also provide 75% troop health boost, in addition to the jump from Troop Health 6 (31% boost) to Troop Health 8 (66% boost) and Troop Health 9 (91% boost). This particular series of examples represents the two ends of the extreme for our sh18-21 series of turtles. Of course reality will be somewhere between those two extremes. Where you fall on that spectrum before looking at hero gear is up to you. Note that we have excluded discussion of individual troop defence and individual troop attack, just for the sake of simplicity. No-one has ever said that these guides were simple, but we have made a decision not to present the additional analysis on individual troop defence and individual troop attack, because it only adds complexity at this stage. This part of the guide has looked at the relative strength of your defending army compared to an incoming 375k T4 maximum march, and then started to look at the combat boosts you need to stay safe. Ultimately, what we want to do is design a situation where our defending army is 2-6 times as strong as their incoming army of a maximum of 375k troops, and our combined combat boosts from all sources are at least 50% as good as the attacker, and preferably closer to 70%. And the way I judge how close it is by comparing the attacker’s troop attack against my defender’s troop health. If I am 400-500% health and they are 700-900% attack, then I am in the zone where I can allow myself to focus more on troop attack to kill more of their troops. As always in this game, there are additional layers of complexity that can be added, particularly when looking at the combat maths, but I try and take a direct approach of troop attack vs troop health, as the most direct yardstick of how my hero compares to the attacking hero. This part of the series has basically taken us through points 1 and 2, getting a sufficiently strong army, and outlined the minimum troop health necessary to survive against Xena Valentine gear with 100% health debuff. Part 11 of this series will look at options for how to combine different hero gear pieces and gems to make the minimum grade of 400% troop health, and then build beyond that to start looking at how best to leverage attack focused hero gear to deliver the outcome we want: not too many of our troops wounded, lots of the attackers troops killed. As you can see when you look at the huge number of hero gear options that have a troop health component, such as shown with our new boost finder tool at http://www.insidegameofwar.com/tools/boost-finder/?n=Troop%20Health, both permanent gear, relic and core, there are a huge number of options when it comes to looking at constructing a good defensive set of hero gear. You will probably not be surprised to know that our next part will also rely heavily on our Guide to The Best Combat Gear, particularly looking at options from the Bargain tab, as well as the Defense tab for putting together a coherent set of hero gear. If you want to get ahead of the curve, I suggest you look at the Defense and Bargain tabs to see which ones you think will be most useful for constructing our defenses. I have one question that I can’t seem to get a clear answer for…..Does Defense Debuff boost do anything positive for a trap account or is it a waste?…. In my opinion, Yes, troop defense debuff does do something positive for a trap / turtle, but it is nowhere near as important as other boosts, specifically the big three of troop attack, troop attack debuff, and troop defense. I always focus my hero gear and gems primarily on those three elements, and as such, I don’t tend to use gear or gems with troop defense debuff. Okay so I murder non cored players… how do I take on a fully cored solo without losing 500k to a million of my S1 troops!? I have Strat Health and Strat Defense 10 completed now untested. 720k beds. 5m s1 1.5m s2 and 1m s3.. health and defense are about 600% each and troop attack is 360%.. I’ll be executing heroes soon and have a lvl farm hero to hold for next KE too.. With my troop levels is it worth researching trap attack and defense 10? Cored solo hits with single troop type will do a lot of damage. Very hard to avoid that fact. Either shield or accept the losses. No, trap attack 10 and trap defense 10 are not worth the incremental research power in my opinion, given your troop configuration. With the amount if kills ive acquired im certainly getting less to take the bait… that being the case and with cored players being my targets ive bumped my power lvl up to 105m over 10m troops now. New stats are 752% def, 635% health and 450% avg troop attack. I also have some cores and relics crafted that boost me further. sure wish presets were available for a trap powered player. Ill let yall know my results after this weekends ke. Very interested. Thanks in advance for letting us know how it works out. Wish I could share screen shots! Scored 268m points over the weekend ke. I had some very interesting results vs fully cored up players and some wearing 5 piece xena sets. The only real way to avoid the damage delivered to S1 by a fully cored up hit is to have the body of your army as T2, and have a single troop type T1 meat shield. And then hope that the core hit is not counter to your T1 meat shield. Silverhair, you mentioned just about a month ago that your next part would be concentrating on deciding between boosts. This one is mostly about where to find boosts and finding the best way to boost your troop health. From what I gathered, the next part should concentrate on which boosts a trap/turtle account should concentrate on. I’d imagine that this new part would be similar to the guide on combat boosts which had some great graphs showing the test results and how each boost impacted the results of the battle. Any idea when that new part is going to be released? Any chance you can explain why the results found in part 11 are so different from the results here in the “Guide to Combat Boosts”? Scenario 3 where you’re taking a rally (5 mil vs 2.375 mil) shows Troop Defense being pretty much useless when compared to Troop Attack and specifically Troop Health. In Part 11, Troop Health is quickly surpassed by Troop Defense which is the opposite of what many readers were led to believe with this article. So in conclusion, my question is why is it that in Scenario 3 (on defense) in this article, Troop Defense is found to be nearly useless when compared to Troop Health while in Part 11 Troop Defense quickly outpaces Troop Health in effectiveness? Great series of Articles! I’m still building my Turtle, so very helpfull! One thing I didn’t notice, but maybe missed it, is adding a 75% attack boost at the last second. Even with the new power system KVK KE I truly believe turtles are still an effective means of battle. However it requires patience and is not necessarily completely free anymore. This is an awesome article that I have taken and tweeked my own account with the information in this article and a few things we have learned in our alliance. The above statement is correct though it is still an effective way to play! Now got hero 50level. M having one Torch orange , Hygieias Pendant orange, Medusa Spiked armor, Sycthe (all orange) from all this m having 400%plus health and 300% defense boost. Still m having 1slot free in accessories and one slot in feet. Also have to equip 50level gears in place of Medusa, Sycthe and Spiked armor. M trying to get health. Defense and trap attack through gears,…Can’t get troops attack , can get individual attack and don’t think it’s good to have that, so boosting trap attack, so Silver please advice what to get. Waiting for your replies friends. KVK KE is coming soon. Have to be ready before that, . M looking for your combat. Gears article. But if it possible can I know through your reply. Thanx. I’ve been trapping pretty effectively, though I’ve crossed over to T4 on my main account, I still trap on the other account (have 10.1m kills on T4 account, 11.8m on pure trap account). I’ve noticed that this series (while awesome, very well-researched, and a fantastic general guide) doesn’t account for enough strength from an attacker, or what to do if there are multiple sped up solo attacks at once. I’ve got a couple of pieces of Xena’s gear and all my other hero gear is straight from the bargain section of combat gear. Gem’ed appropriately, and so forth. But I still get soloed at moderate T4 power (was at 154m) by really big guys, or specifically, tag teamed by several. Which now is the ideal way to attack because what used to be worth 54m points is now worth 20m points. For reference I have all regular T4 unlocked, all 3 T4 traps unlocked, had a full T3 wall (even mix), and had 1.7m troops at the start of the last kill event (1.1m were T4, even mix, rest T3, even mix and about 40k token T1 for gathering), 280k beds, and the new defense tree finished up to 8 (before the debuff section was unlocked). My overall troop health boost is just a bit under 500% (when looking from the profile boost page), defense is about 400%, individual troop attacks are 350% and up, overall troop attack is like 65%. Last kill event, I got tag teamed by 3 players. First hit (from most powerful player) filled my beds and killed 100k. Keep in mind I had 1.7m troops and full wall to the attacker’s 375k (312.5k were strat T4, rest strat T3). I killed ~120k. I’ve been doing this a good while, and that just doesn’t happen. Turns out the guy had 4 cores on, which was certainly a lot of it- but as a trap you don’t always have time to check. I didn’t. 4 hits land in 3 seconds and you’re done for 3 months. The girl in the tag team (gender of the opposing player, for those with their mind in the gutter) was running regular gear (full set of red Xena’s gear except for the Damascus steel fire age sword instead of the heart) and killed 310k of 1.3m plus remaining troops as my hospitals were full. I killed 140k. Next hit killed less, because I had mostly T4 left. I shielded after 3 hits (while trying to shield as soon as I saw multiple attacks incoming but the game lagged out with all the notifications), so between those 3 hits and one more I took, I lost 800k (300k T4) troops, 123.5k (all T3) wall traps, and killed 640k. The third player’s hits were so far behind I shielded in time though. I had decent gear, gems, 1.1m T4, and a serious numerical advantage and got wrecked. More hospitals would’ve made a big difference. But nevertheless, I was about as strong as a solo trap can be (154m, with over 4 times the recommended troop power of 16m) and still got knocked out of commission by a tag team of 3 big players. My pure T3 trap is matched up against younger kingdoms against kingdoms with players that for lack of a tactful way to say this- aren’t nearly as good as any of the older kingdoms. I’ve gotten gold in kill events in less than 10 minutes on that account without losing a single soldier, with much worse gear. Not so frequently with the new system for kill events, however. I placed in both kill events without getting to the last prize tier. Sorry for the short novel. Just wanted to toss this info out there so some of the readers were aware. 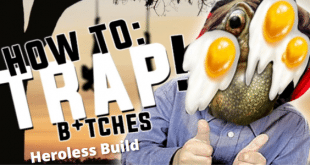 In controlled/ideal conditions, traps/turtles are as effective as it gets. In the real world, quality of your opponent matters far more. I had a 75% attack boost popped for the above hits also, btw. Thanks. One of my biggest questions is that early on in this series is the recommendation to not over research the watchtower. My problem is, how do you know of you ate bring rallied if you don’t max the watchtower? In a rally situation, a watchtower does not become useful until the rally marches. It is only when a rally is marching that the watchtower can tell you what troops are incoming. In the waiting period before a rally march (1-5 minutes), there is a very quick popup notification that someone is being rallied. Everyone in your alliance receives this notification. And it is then available under Alliance > Alliance War > Defend, which shows who is being rallied, by whom, at what location, and when. The watchtower only comes into play once the rally marches. The new defense tree is too much for turtle accounts (Even the strong ones). They can have an extra 342% defense and 200% health just on research alone over a guy with max combat academy lvl 20 research. The next kill event I decided to try something different and used 75% defense boost. Same story billion power players solo guys (no tag team). Results 220K to the beds I kill 200K. So maybe 2 hits at max with this set-up. Took 8M power, give 1.7M power. Moral of the story… Shield if you get multiple marches thrown at you. Use Defense 75% boost instead of 75% Attack boost. The defense research tree is taking the turtle accounts out of commission (Which is why I’m doing a Rally turtle now). I don’t think that is a reliable comparison. There are simply too many different variables and differences between the people that hit you (gear, research, boosts, etc.) to say that it was your defense boost that made all the difference. By that logic, it was only a 75% increase in defense that resulted in you losing 180K fewer T3s and I simply don’t see that as being the only factor. Even with players above a billion, there can still be a huge difference between players. By far the biggest impact is the gear that they have. On top of that, some of them are mostly troop power and not as much research power making each of their hits do far less damage. I think the only way to test it would be to simply take three hits from the same person; one with no boost, one with attack boost, and one with defense boost. That would be the only way that you could truly compare the differences between them and I highly doubt you’re going to find anything close to a 180K troop difference. Exactly what I have done in Part 11, as you know. 1 hit with no boosts, 1 with defender applying 75% health boost, 1 with defender applying 75% defense boost, 1 with defender applying 75% troop attack boost, 1 with defender applying 75% trap attack boost. Unless you are an extraordinary turtle, then troop attack outperforms troop defense. Strategic traps are stronger by about 15% I believe but the choice depends on your account. Most solo trap (turtle) accounts, want to keep their power as low as possible and that’s where the issue with strategic troops/traps comes into play. They’re slightly more powerful but you end up having to do all the research which simply isn’t worth it in most cases. If you already have strategic and regular traps with the same boosts then I would go with strategic troops and traps. Amazing article silverhair! Will you give us some more information about your setup? Pretty please :)??? First off I want to say thanks for the tips , my turtle has become a beast! thinking of making a new one where i can start off right though . question.. is the defense tree worth the power increase ? its all good research but i finished it with my main and it feels like it would make the power too high ..
Firstly it requires Academy 21, so out of the range for 99% of turtles. Those turtles that have academy 21 (usually for T4 traps) can start the march tree. They have been stopping at level 4-5 on the first sections of the tree, as that puts on about 1M or slightly more power. The level 10s in the first section put on 6.5M power each. Once you have done some of the first part of the tree, you can also start on the second part of the tree, and consider doing levels 1-4 again (1 level below the first part of the tree). Extra traps are nice, even if if only is another 10-20k traps. Several of the turtle articles are giving 404 errors, and part 9 isn’t tagged “turtle”, FYI. In the hero research tree after researching Monster 5, there is research for troop attack & defense with hero. That sounds great, but it seems like it will take quite a bit of power to get that far into the hero research tree. What are your thoughts? Also, if T1 troops act as a meat shield for T2 & T3 taps, why bother spending power on anything but minimum trap defense? Defense & health are super important, but at what cost in terms of power? Finally, completely off topic… If I decide to build a rally trap at some point, is it possible after setting up my turtle for solo hits or would I have to start a new account? Getting to Monster 5 will result in quite a bit of power. I think you may be better off spending all that power on actual troops. Still waiting on clarification on health and defense. Scenario 3 on the “Guide to Combat Boosts” shows that while taking a rally (5 mil vs 2.375), troop defense is pretty much useless. I would assume that it would be the same for taking a solo hit but frankly I’m not sure at all. Was hoping this would be covered in this guide but it appears that it will be covered in the next one. You could definitely switch to a rally trap. You would probably have to knock down a bunch of hospitals initially in order to build villas and a couple million T4s. Even with a rally trap, the goal would be to do the most amount of damage while taking the least number of losses and having the lowest power. Excellent. Thanks for the reply. Will probably hold off on more attack/defense research until more clarification. Think I am maxed for now anyway. Well when you do decide to upgrade your SH, I would just straight to SH18. 15-18 SHs all compete together in KEs. I’ve read through this a few times and I’m hoping there will be some more explanation with another part talking about which combat boosts. Looking back at the “Guide to Combat Boosts”, there is a lot of detail comparing how effective each boost is and I was really hoping that you would take that into account with this section. I’m looking at Scenario 3 (Taking a Hit from a Rally – 5m vs 2.375m) and I’m still unsure if the same principals apply to taking a solo hit. In that scenario, Troop Defense ended up being very ineffective compared to Troop Health and Enemy Attack Debuff. When looking at this Part, you’re suggesting that we add skill points towards Troop Defense as opposed to individual troop attack. I understand that when you add up the total percentage points, adding the skill points to troop defense ends up with a greater total but I’m wondering if that is even worth it since defense boost is so ineffective in the first place. Would it not be better to put points towards troop attack in order to increase the power you destroy? I think everyone is on the same page that troop health is the most important one in these scenarios and that we should raise it very high but the question for me is, what would be next? Went through the comments and saw that these dilemmas will be discussed in the next part. “3) Counteract the attacker’s 800% troop attack ” I think I’m missing something 🙁 I really don’t know and did’nt see why the enemy has 800% troop attack ..
A lot of attackers have single troop hero gear with 600% single troop attack and >200% overall troop attack. Some run up over 1000% combined troop attack for one troop type using permanent gear only, is without cores / relics. I run well over 800% combined attack on each of my infantry / ranged / cavalry sets. That is where it comes from. I know what gear attackers use and the boosts they get when gemmed appropriately for spinel troop type attacks. With cores, expect the single troop type boost to be upwards of 1250%-1300% if it’s a big guy. It WILL hurt it you have been training a balanced army. Thanks for your thorough explanation on turtle accounts, love it! My turtle account currently doesn’t have the materials to craft and Special Events gear. Will your next post include Standard gear suggestions? I’m currently looking at Health and Defense gear such as Xenas Crown (Special Event gear, but need standard materials only to craft it), Aegis, Leonida’s Cape, Code of Laws etc. And I’m hoping to craft some Relics and Cores as well to help with the overall Health boost you talk about. When looking at standard gear though I tend to choose Defense over Health if the Defense boost is higher. Is it better to choose the higher % or should I always go for Health when choosing gear? Health is more important, no question. This is a great series for about turtles, I am trying for the T1 setup but seems so time consuming. I was wondering your thoughts on the most efficient use of time/speed-ups/gold to make millions of T1. The answer is in Part 4, Hospitals, Barracks and Villas. It can be done at sh20, but it is very difficult. The guidance in that article was 60k T1 per 3-day speed. It can be done more efficiently than that. My turtle trained 75k per 3-day. So anything between 60-75k per 3-day at sh21 is efficiently producing T1. 1 pack with 100×3-day speeds gets you around 6M T1. But only at sh21, and only with 12-15 x L21 barracks. I am trying to go for the T1 turtle setup but making all those troops seems time consuming and expensive? Do you have a guide or advise me of the most efficient way of building a mass army and also what would you say is the minimum T1 troop count I should have. Once the new Defense tree is complete, is there any hope of running a sh14 turtle, or should I start planning for sh15-18? Sh21 with 10M power is a good starting point. Sh21 with 50M power is not a good starting point. Sigh. For over three months I’ve been asking for some information on the relative value of health vs. defense for a turtle. If I’m choosing between 40 health and 60 defense, which is better? I know the answer isn’t simple, as it depends on troop count. But perhaps just provide some examples. On your pure T1 model, how many troops would be saved by adding 100 health, vs 100 defense? On your T3 model, how many troops would be saved by adding 100 health, vs 100 defense? So far, the general guides on this website make it sound like defense is pretty useless, but that’s primarily for attack marches, not for turtles. This guide seems to imply that health and defense are both roughly equal in value for a turtle. Is that true? Please, shed some light on the relative value of health vs defense in different scenarios. Or just complete the battle calculator so we can all test out ideas ourselves. Thanks for all the hard work you’ve done. It is very appreciated, even if I haven’t yet gotten the answer I’m looking for! I fully intend to answer that question. But I am trying to provide a framework for decision making. I could give you the answer now, but then you would likely want to see the results. The next part will include just those kind of considerations in the DECISION making process of how to choose hero gear. 14) Do adjustment of results for the 5 defence points, then compare. Will cost you 3 hero tree resets and a handful of T1 and T3. Tests scaled by a factor of 1000 are very useful to answer this kind of question cheaply. Let’s just say this piece is mostly focused on troop health, with glancing mention of troop defense, with no mention whatsoever of traps. That should give you some idea of prioritisation. Thanks for the response. I tested a 1/10000 version of my city vs a T4 attacker. Defense was 10% superior to health in this case. Looks like MZ have downgraded the requirement to start the new Defense tree. At release it was Academy 21, T4 troops and T4 traps. It appears to have been downgraded to T3 Troops and T3 traps, but Academy L21 is still there. Can’t quite understand why Academy 21 is still necessary. Have sent a feedback ticket to MZ on this one. Its in this readers opinion that once bigs are fully researched turtles are pretty much dead. You may still win but will most likely lose espicially with new kvk system not taking hospitals into account. Will definitely need some testing. My turtle has still not lost a battle on power destroyed, even against 6 level 6 cores (stacked cavalry, the latest cores) with 6 pieces and all 4th gems slots unlocked. It still eats T4 marches with permanent gear heroes for breakfast. I agree that MZ are pushing away from solo march turtles with the new researches, but that does not mean that solo march turtles are dead. Can You share the details of how your own turtle is set up? I agree with silverhair. You can still win with a turtle/trap account but it’s a bit harder. Pure T3 accounts are pretty much useless with the new system unless you want to give up a lot of points. I use 600K T3, 1.5 mil T1, and 125K T3 traps on my account and did very well. 112 million points gained and after looking at the reports, I only gave up 11-12 million points. Obviously the core guys did a bit of damage but even the “worst” solo I took resulted in me gaining about 5 million points and giving up about 1.2 million. From my point of view it’s not only that even with the new points scheme you may give up in general less points, what I like is that you can recover way faster and with fewer resources than a normal player thanks to the thousands of beds that you have. Absolutely astounding article, by the way.